7 − 3 = Required Please enter the correct value. Today's top stocks list includes an eclectic mix of healthcare, hotels, insurance, and oil companies. 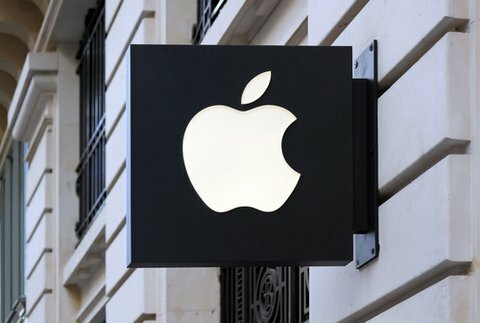 But Apple (Nasdaq: AAPL) kicks off the list with a big week ahead. The iPhone maker hosts its Worldwide Developers Conference later today. It's Apple's first big press event since the iPad Air and iPad mini with Retina launched last fall. Expected to be featured are the iPhone 6 (with a larger screen), the iWatch, and iBeam, which promises to do for indoor spaces what GPS did for the outdoors. Also expected is a drastic redesign of Apple's operating system. Appearances by Jimmy Iovine and Dr. Dre, co-founders of Beats Electronics, which Apple acquired last week for $3 billion, are all but guaranteed. Stoking anticipation ahead of the live-streaming event were comments last week from Eddy Cue, Apple's senior vice-president of Internet software and services. Cue said at the Re/code conference, "Later this year, we've got the best product pipeline that I've seen in my 25 years at Apple." Cantor Fitzgerald has dubbed 2014 as the "Year of Innovation" for Apple. RBC upped its price target on Apple stock Monday to $675. At last check, Apple shares were trading at $632. Alcoa Inc. (NYSE: AA) shares jumped 1.5% to $13.87 after Bank of America Merrill Lynch upgraded the aluminum maker to "Neutral" from "Underperform." Separately Monday, Alcoa and clean technology company Phinergy unveiled a new type of electric car powered by an aluminum air battery. Alcoa shares are up nearly 30% year to date. New Investor Guide for 2014: Finally – "Everything You Need to Know About Trading and Investing" – all in one place. Here's how to get all the information you need to start trading – and making money – today. Allergan Inc. (NYSE: AGN) has been a hot stock since late April. The healthcare giant has been courted by Valeant Pharmaceuticals Intl Inc. (NYSE: VRX) for weeks, but continues to rebuff Valeant's overtures. Friday, Valeant boosted it takeover bid for the Botox maker for the second time in a week, to about $52.7 billion in cash and stock. The bid is backed by Pershing Square Capital Management's Bill Ackman. Today, Pershing called for a special meeting of Allergan's shareholders in an effort to unseat six of Allergan's board members. The move would turn over most of Allergan's board and could open the door to a Valeant takeover. AGN shares rose more than 2% to a new 52-week high of $171.65. American Realty Capital Healthcare Corp. (Nasdaq: HCT) is one of several deals announced Monday. New York City-based HCT is being acquired by Ventas Inc. (NYSE: VTR) in a stock-and-cash transaction valued at $2.6 billion, or $11.33 a share. That's a 14% premium to HCT's closing price on Friday. HCT was created in 2011 as a non-traded real estate investment trust (REIT). It listed on the Big Board in April. Ventas, meanwhile, is a REIT behemoth, sporting a near $20 billion market cap. "The healthcare market is a trillion dollar market, is still highly fragmented and growing," Debra Cafaro, Ventas' Chief Executive Officer (CEO), said in a statement. "Public healthcare REITs only have about 12% to 15% of that trillion dollar pie. Compare that to malls with REITs owing 60% or more of malls." HCT shares surged more than 10% to a 52-week high of $10.99 on the news. Aspen Insurance Holdings Ltd. (NYSE: AHL) rose 2% to a new 52-week high of $47.13 in morning trading. Endurance Specialty Holdings Ltd. (NYSE: ENH) raised its unsolicited takeover bid for Aspen to $49.50. Aspen management has refused to engage in talks. Endurance said it would wage a proxy fight in attempts to get the deal done. Endurance's takeover bid is being backed by private equity firm CVC Capital Partners. Broadcom Corp. (Nasdaq: BRCM) shares were boosted better than 10% to $36.05 intraday. The semiconductor said it is exploring strategic options, including a potential sale of its cellular baseband operations. Offloading the business will allow BRCM to slash costs by some $700 million. A big chunk of that would be reinvested into BRCM's broadband, infrastructure, and connectivity units.